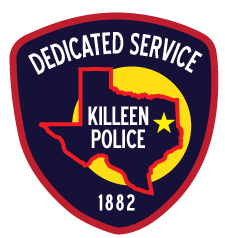 Killeen Police investigate a near drowning at a home daycare. Officers responded to the 3000 block of Bachelor Button on Wednesday, January 13, 2016, at 11:21am, after receiving a 911 call in reference to a child that was unresponsive. Upon the officers arrival they located the resident performing CPR on a 2 month old male child. The officers continued with the CPR until Killeen Fire Department paramedics arrived and took over. The child was immediately transported by air to the McLane’s Children’s Hospital in Temple in critical condition. The preliminary investigation revealed that the 48 year old homeowner/child caretaker was giving the 2 month old child a bath when she heard a noise in the area where the other toddlers were playing in the residence. The caretaker left the child in the bathtub to investigate the noise and when she came back the 2 month old child was face down in the water. The child is currently in the Pediatric Intensive Care Unit at McLane’s Children’s Hospital in critical condition, at this time. This case continues to be investigated and information will be provided as it becomes available. The names of the persons involved in this incident will not be released at this time.